Try Continuous Ink System with your Brother MFC 5440CN and make 30 times more quality prints for the same money! Pay only 0.04 USD for A-4 full color print! The continuous ink supply system Brother MFC-5440CN is intended to equip inkjet printers and MFDs in order to decrease their printing cost. Such system can be used in office, at home or wherever you need high quality and efficient printing. For many years the MFC-5440CN CISS has been a bestseller in the world of efficient quality printing as well as similar models CISS for Brother MFC-5895CW and CISS for Brother MFC-845CW. There is no need to pay much for the original cartridges, if the system can provide the same quality. Due to the system, you can make the wisest purchase of your life. The CISS for brother MFC-5440CN is a special supplementary equipment for your inkjet printer, plotter or multifunction device, which helps to make your printing fantastically easier and cheaper. 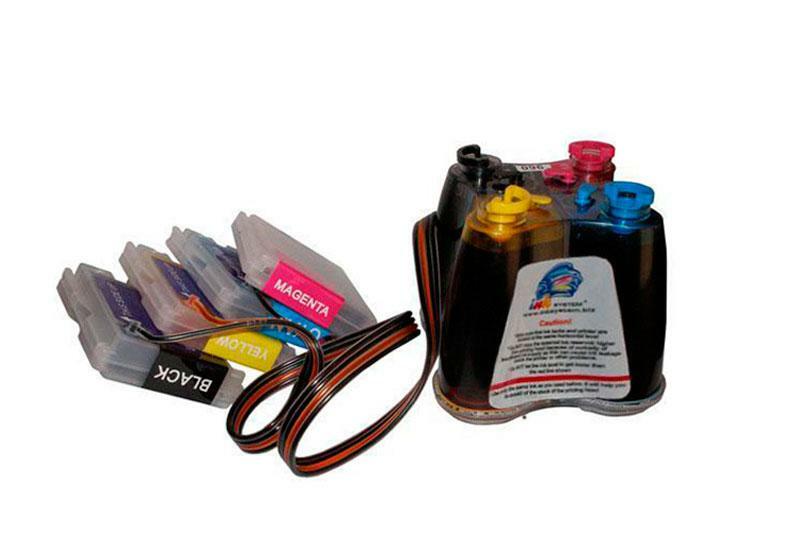 In our online shop you can buy this kind of ink supply equipment, as well as consumables for MFDs and printers, complete printing units (printers equipped with CISS), at the best prices. On our shopping site you will find full technical information, text and video manuals on installation of CISS and rechargeable cartridges. What does a ink system for brother mfc 5440cn consist of? The cis brother mfc 5440cn installation process is easy and it does not require any printer or MFD design changes. The Brother MFC-5440CN CIS system cartridges are to be mounted into the original cartridge sites. Ink is fed non-stop from the external ink tanks to the cartridges via the silicon tube. In this way your printer is continuously supplied with ink. Without stopping your printer you can add inks into the tanks through the specially designed openings, which keep your inks from spilling. The CISS for brother MFC-5440CN is mounted onto your printer only once, after which the only thing you have to do is to add inks. - the system installation does not in any way change printer design (therefore the ManufacturerвЂ™s warranty remains valid!) besides, the installation procedure takes about 10 minutes, after which everything is ready for quality photo printing!